This is the old model from Kato of EF57 (article number 3003) with pantographs on the edge of the car, not in the center like EF57-1, and a big and beautiful deck on each side. According to Wikipedia: "The Class EF57 (EF57形?) 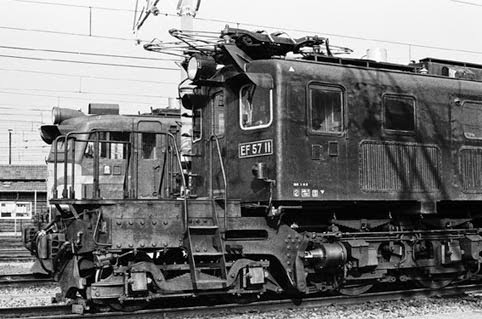 of 2-C+C-2 wheel arrangement DC electric locomotives was a development of the previous JNR Class EF56. The 15 EF57s were built between 1939 and 1943 by Hitachi and Kawasaki. 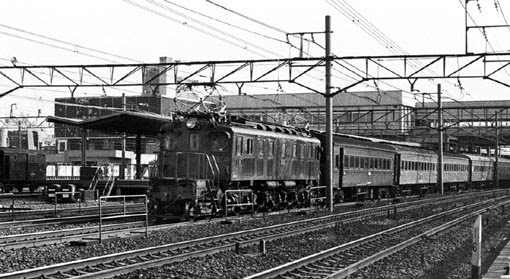 Introduced on Tōkaidō Line passenger services, they were seen at the head of expresses such as the Tsubame, complete with train headboard mounted precariously on the front of the cab decks. 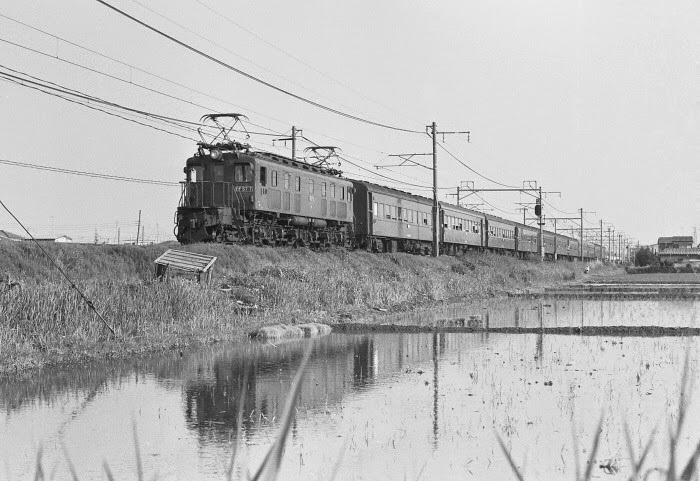 With the introduction of the newer semi-streamlined EF58s on Tōkaidō Line services, the EF57s were transferred to the Tōhoku Main Line. At the same time, their steam-heating boilers were removed and replaced by electric-heating generators. 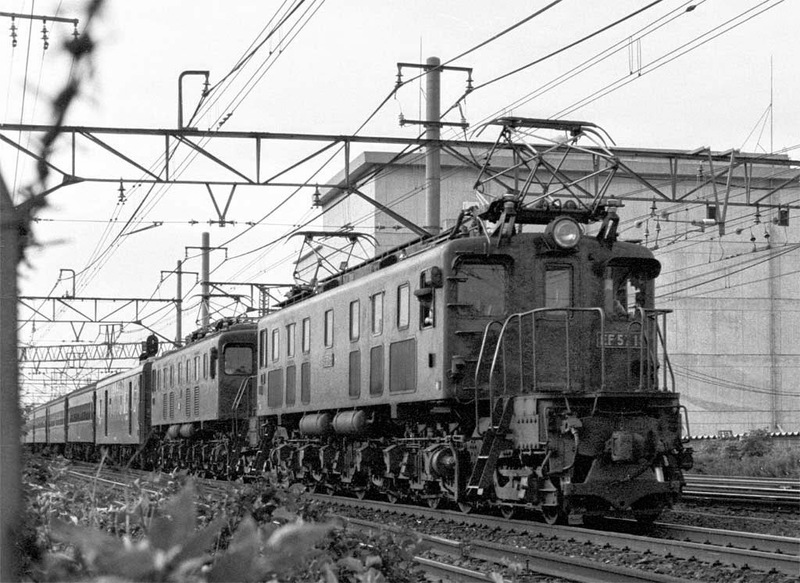 The class remained in use on long-distance express trains on the Tōhoku Main Line until the 1970s." Digitalization seems difficult when you open the locomotive and see it's a complete lead block with motor and transmission fitted inside, but it's not so complicated. The decoder used has been a Doehler & Haas DH10. Remove the Kapton tape of the edge of the motor cooper bar just enough to solder the decoder wires. Make sure it will not touch the lead blocks. Isolate also with Kapton tape the decoder and install on place. Lights are mounted in a little board. Isolate one of the contacts of the board, the one having the long track. This is where to solder decoder wire. The other contact is not isolated so the common phase of the current is taken directly from the chassis and no "blue wire" is used. This makes the lights to glow at half intensity, but for me that's perfect because I found lights to be too bright. Red and black wires to take the DCC current to the decoder can be taken also from the light boards in the point not isolated. It's not possible to solder them to the lead blocks, and that makes possible to dismount and mount again the locomotive if necessary without the need of unsoldering any wire.